Your property is your most prized and valuable asset so why entrust it to an amateur or a computer! Woodlands are at the cutting edge of Estate Agency combining our town centre offices with digital marketing and online presence. Established for over 25 years, our reputation is for success with the personal touch and we actively support our local communities and charities. Our experienced teams are all local, with exceptional local knowledge enabling us to understand your requirements and your property which ensures your bespoke high profile marketing campaign achieves the ultimate success. We would love the opportunity to work for you to take the first steps, so please contact the team now. Buying a property is something you don't do often in life, so when you do, you need someone to guide you through the process. That's where our fully trained, highly motivated and experienced teams can assist you with everything you need to know to make sure your transaction goes as smoothly as possible! We aim to provide the best service, so why not drop into the office for a chat with one of us, or call us? We look forward to welcoming you! when they come on the market. "Woodlands in Redhill have been a pleasure to work with. They are courteous and professional and have excellent customer service, understanding the needs of us as clients. Having experienced a couple of bad Agents and as first time buyers, we breathed a sigh of relief as we really felt that they were honest which seems to be a rarity in this cut throat market. We would like to extend our thanks to all of the team, Liz and Steve M especially who have made us feel at ease throughout the whole process. Strongly recommend this company who we will use in the future for sure. "David Jeffrey was an absolute breath of fresh air, honest, friendly and professional – a rarity in real estate!" "Hello Simon. The dust is settling and I am beginning to catch my breath and before anything else wanted to say a heartfelt thank you to you all for the time and care you and your team - Francoise & David - have shown me over the last few months. You made what felt like a very daunting and impossible situation manageable and ultimately achieveable . . . and you found me and my children a beautiful place where we already feel very much at home. I feel incredibly lucky not just to be here now, but to have had your help. You've made all the difference in the world because you genuinely cared and were interested about what we needed, because you were honest and fair, and because you all went the extra mile to help me, patiently step by step, to get us here. A happy ending. I can't thank you enough." "Lauren was amazing, professional, helpful and ‘on the ball’ through the whole process. Thank you Lauren, you are a star J"
"Lauren went the extra mile to ensure we had a smooth exchange of contracts. Our selling agent should take a leaf from her book as their lack of communication and support was extremely frustrating!" "David pulled out all the stops to make sure the sale completed in very difficult circumstances." "Excellent service all round from all staff, polite, helpful, friendly and supportive!! Thank you for all your help and hard work, I wouldn’t hesitate to recommend you!" "Steve Frank did a superb job of keeping the house purchase on track providing a valuable link between all parties involved. We have been very impressed." "From beginning to end the service has been first class. All staff were interested and caring." "Friendly and approachable – good customer service (ie letter informing of annual leave) and kept up to date and given straight and truthful answers – a blessing!" "Friendly, helpful and professional service. Great to have a single point of contact. David was great at keeping us and our buyer updated. Thank you." " I wouldn’t use any other agent if selling in Redhill as Woodlands have always been honest and trustworthy in every way. I always recommend Woodlands to others." "When I first saw our purchase on Rightmove and that Woodlands were marketing the property I was delighted. In my opinion, Woodlands have been Redhill’s no 1 estate agent for many years and continue to provide an excellent, no nonsense professional service. I’ve had dealings with Steve Muggridge for over ten years through Woodlands and the fact that Steve is still there speaks volumes for the branch." "Mr Norris is the epitome of courtesy and efficiency." "Very friendly but professional service. Phone calls always answered directly or phoned back when said they would. PERFECT! Could not fault. Thank you so much." "An excellent, friendly service. Nothing seems too much trouble for them. More importantly there is ALWAYS someone at the end of the phone. Thank you so much"
"By far and away the best Estate Agent you could ever deal with!" 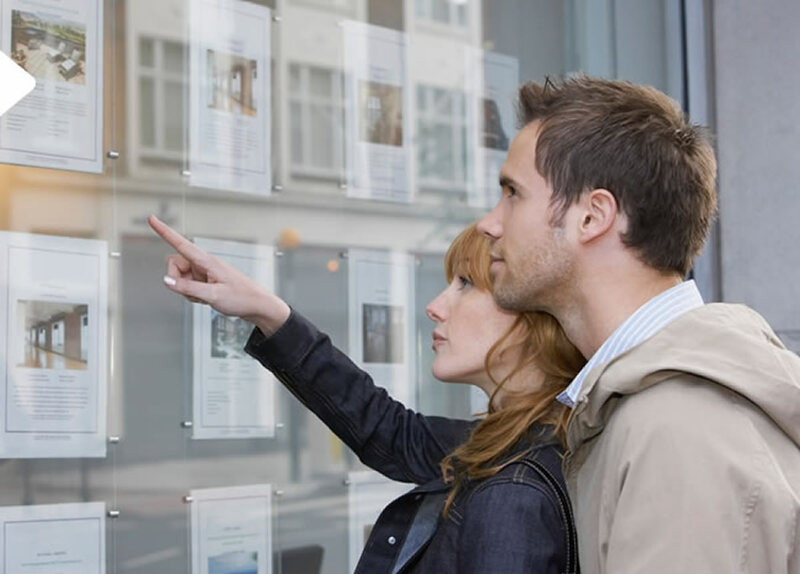 "A cut above all the other estate agents we have used in the past. Thank you Dave, Mike, Steve & Liz." "When we go on to sell our house we won't need to consider which agent to use, it will be Woodlands without a doubt. If anyone asks for a recommendation I will be sending them your way. I hope the business continues to do well." "I am happy to say we have found a house that suits us both and gave us everything we wanted. I am genuinely sorry to say it wasn't on sale with you. Woodlands attention to customer care is outstanding, Fran is a huge asset to your company and we wanted to say a big thank you to her. The business of buying and selling houses needs more people like her!" "Our very first viewing with Fran was so different to all our other experiences. Paula and I both agreed, she gave great advice, she was patient, we weren't rushed from room to room in a five minute slot. We were so impressed by her enthusiasm we felt we must put it in writing. She was considerate, she listened and left us time to consider each house. We felt under no pressure but that she was genuinely interested in finding us a home that made us both say 'wow'. ( No easy task!)" "We have recently been searching for a new house having sold our two. We have met many estate agents, in fact I would say most in Horsham. As a result of this we have been bombarded with calls, texts and emailed.....until we came to Woodlands. My opinion before this process was 'all estate agents are the same'. I am glad to say I was wrong, Woodlands stand head and shoulders above the others, who will remain nameless but I am sure you know who they are!" "Compared with other agents, we have dealt with; Woodlands offer a more personal and professional service, who also keep us informed at all times. Keep up the good work." "From start to completion, David Norris proved an exceptional ambassador for Woodlands. Always available, when not; returned calls in a timely manner. He gave sound advice both on pricing and approach to how best achieve a sale. To this end, the transaction progressed quickly keeping me informed at all key stages. I would have no hesitation in recommending Woodlands to other prospective buyers or sellers. In all an extremely professional company." "I couldn't give your company any more compliments if I tried. The service has been first class - thanks so much." "There was always someone in the office to deal with enquiries. All staff made you feel as if you were the most important customer and that there was no one else except you. Always cheerful, smiling and pleasing to talk to. Always pleased to see us. It has made such a difference to our experience – especially as our experience with previous estate agents was not a pleasant one." "Brilliant from start to finish. Approachable, friendly and great at communicating, everyone who we spoke with at Woodlands were fantastic. I would particularly like to give praise and credit to David. N and Steve. M. They showed immense patience and professionalism assisting us through a difficult purchase. Thank you for being the best. I would highly recommend Woodlands to anyone looking to sell, purchase or rent a property within the area." “When we decided to sell our home we chose Woodlands in Redhill for the job. Admittedly I was surprised by their valuation but it turned out to be spot on. The specification was well presented with great photos too. They were able to line up viewings very quickly and personally conducted each one. We sold our property in 4 weeks of being on the market!